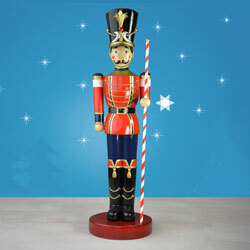 The Toyland parade leader is here! 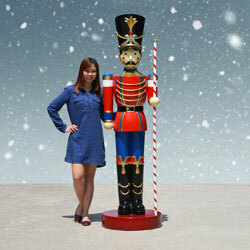 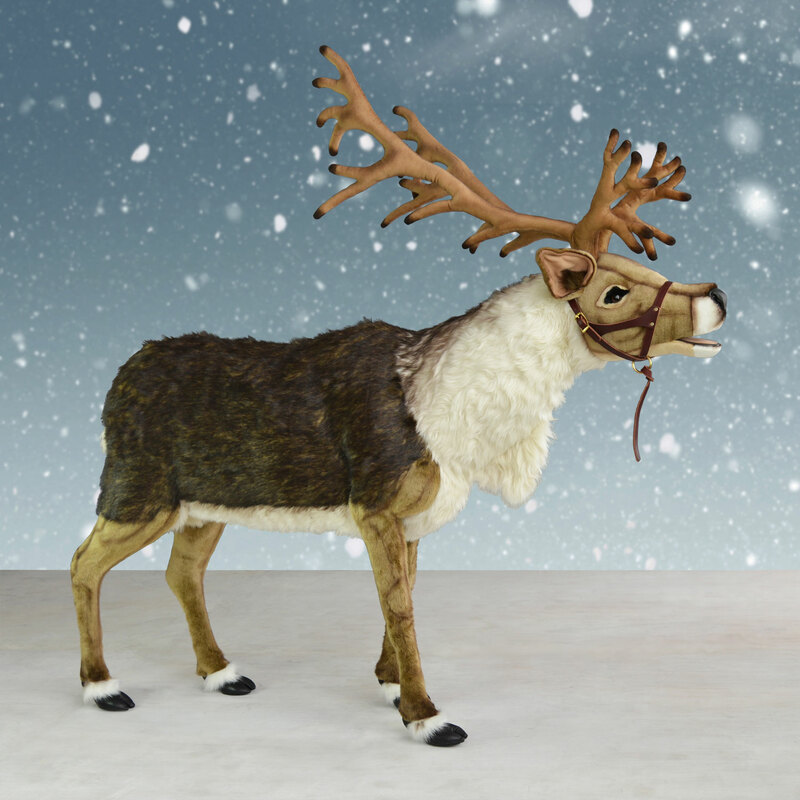 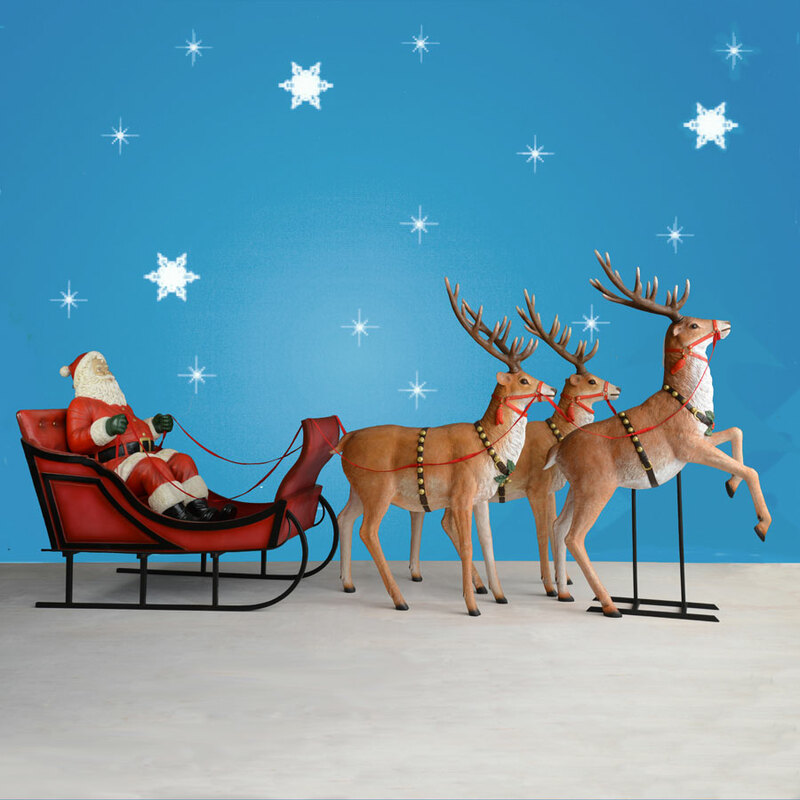 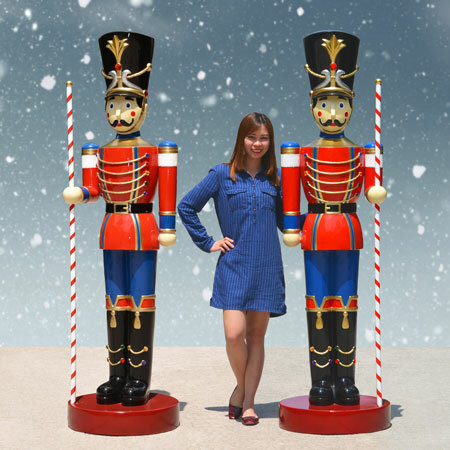 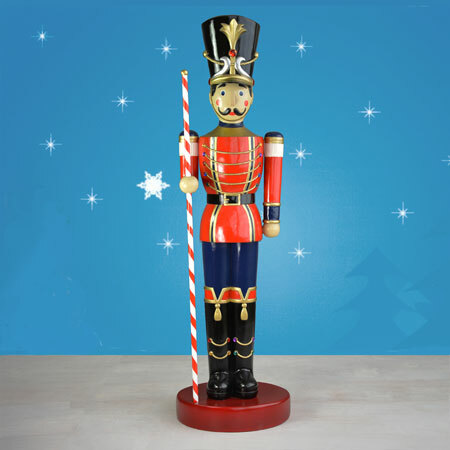 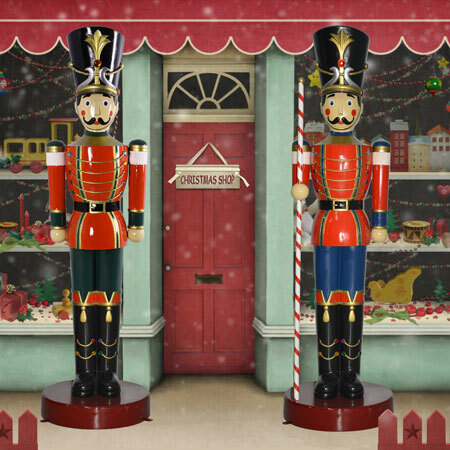 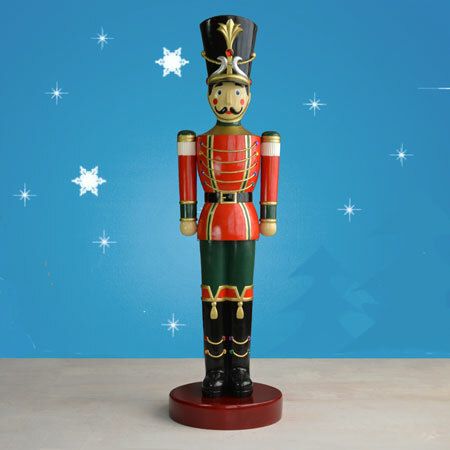 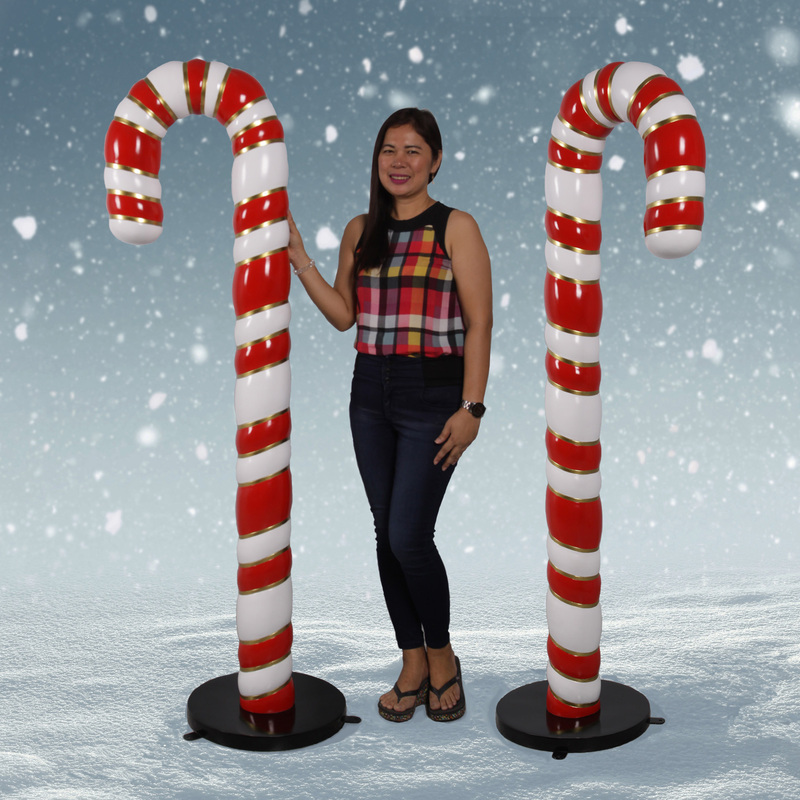 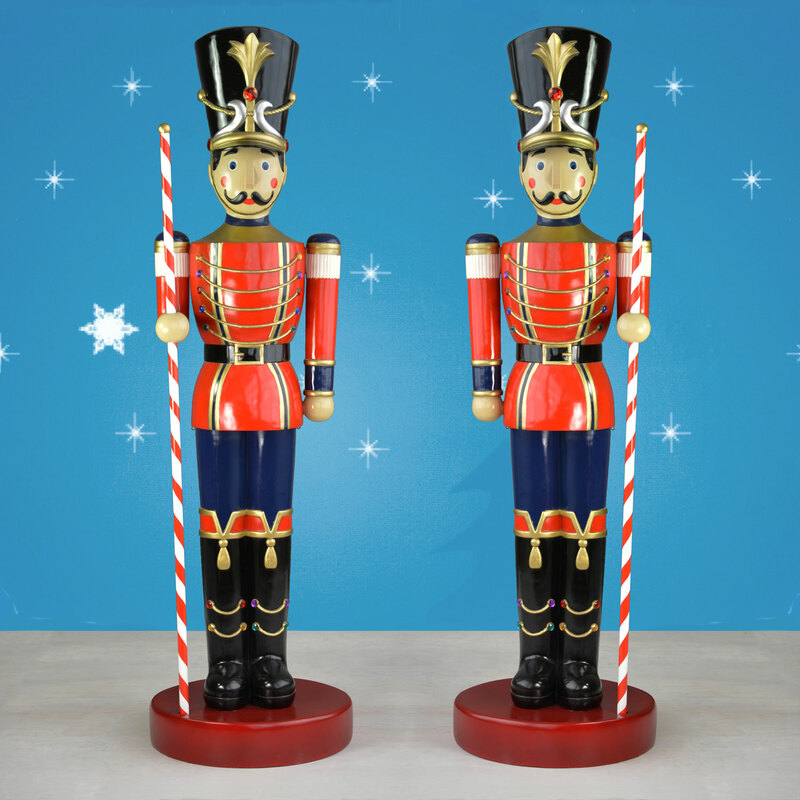 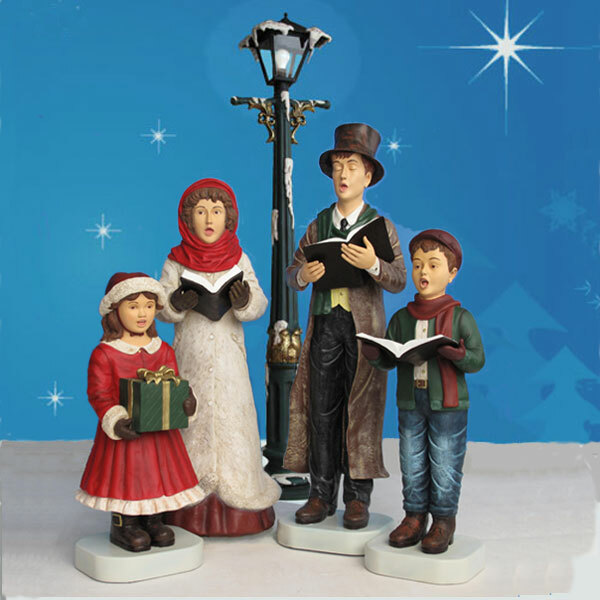 Our 6.5 feet tall Christmas toy soldier is always at attention to spur the imagination of children everywhere. 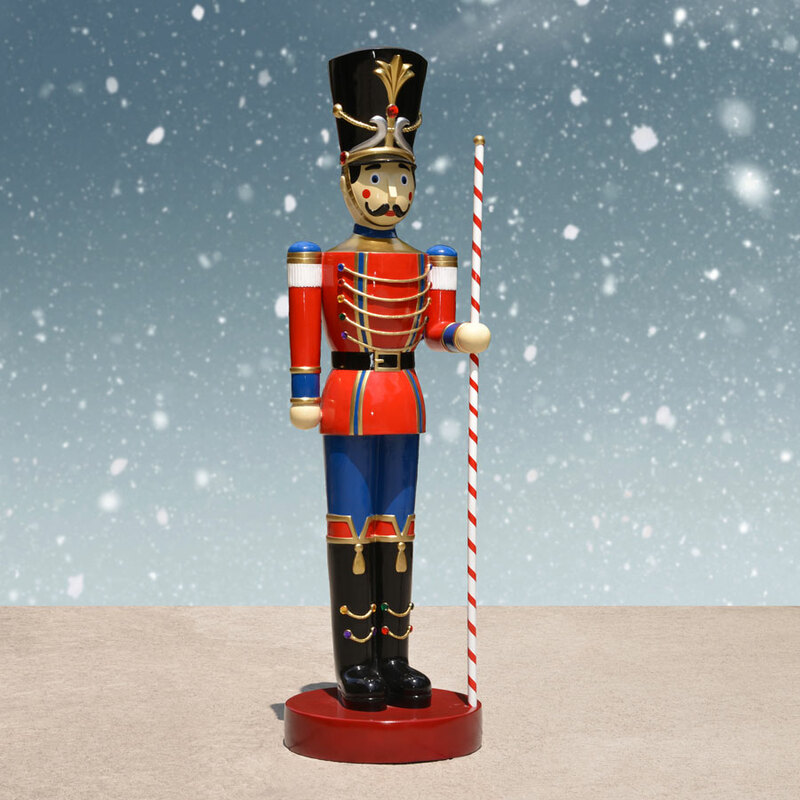 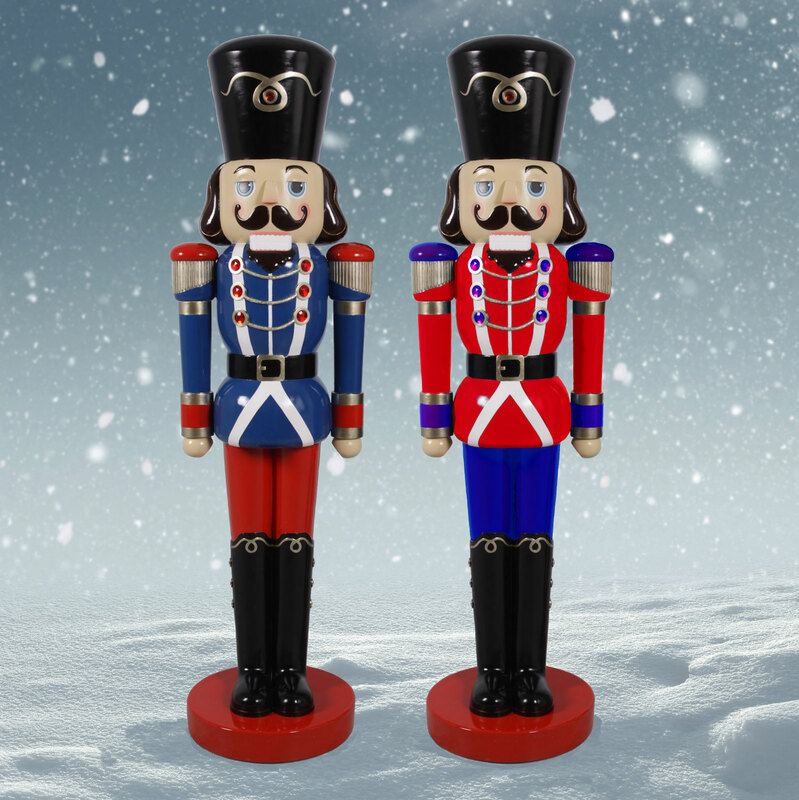 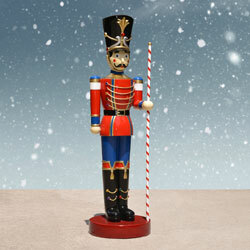 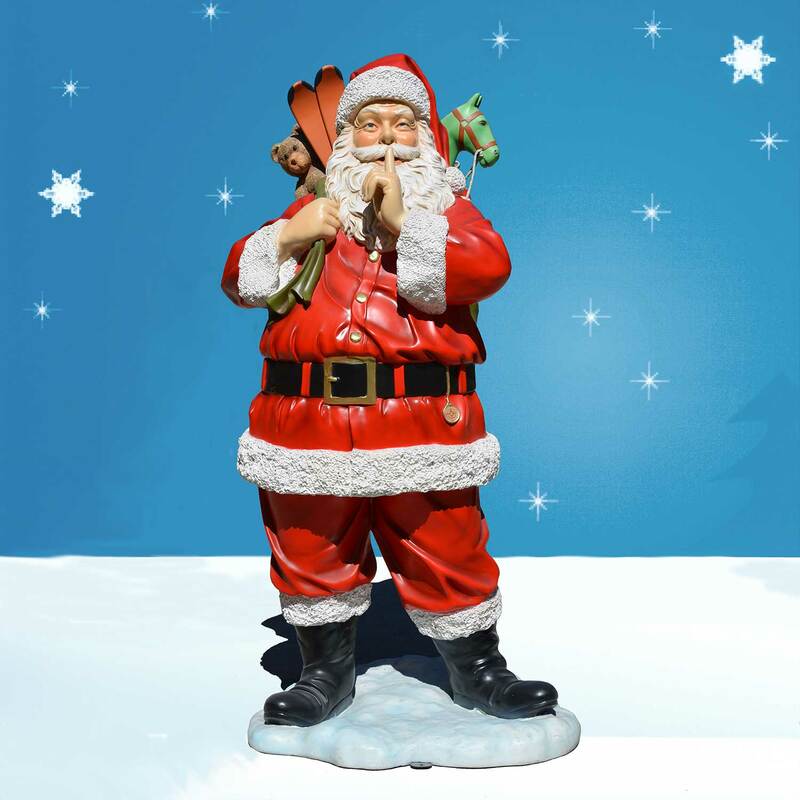 This outdoor toy soldier has a red and white baton in his left hand that adds a festive touch. 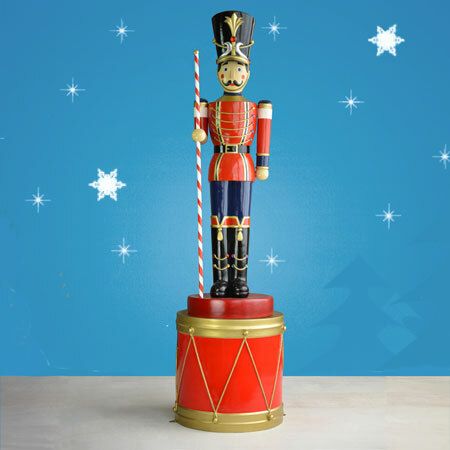 The chip-resistant fiberglass is lightweight and decked out in bright colors, from the red overcoat to the tasseled boots. 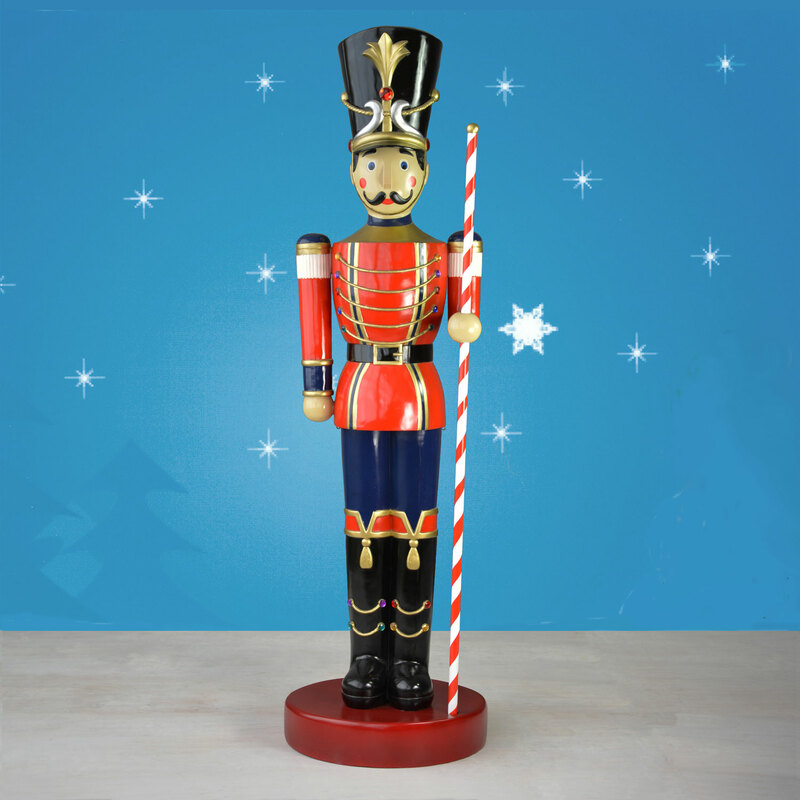 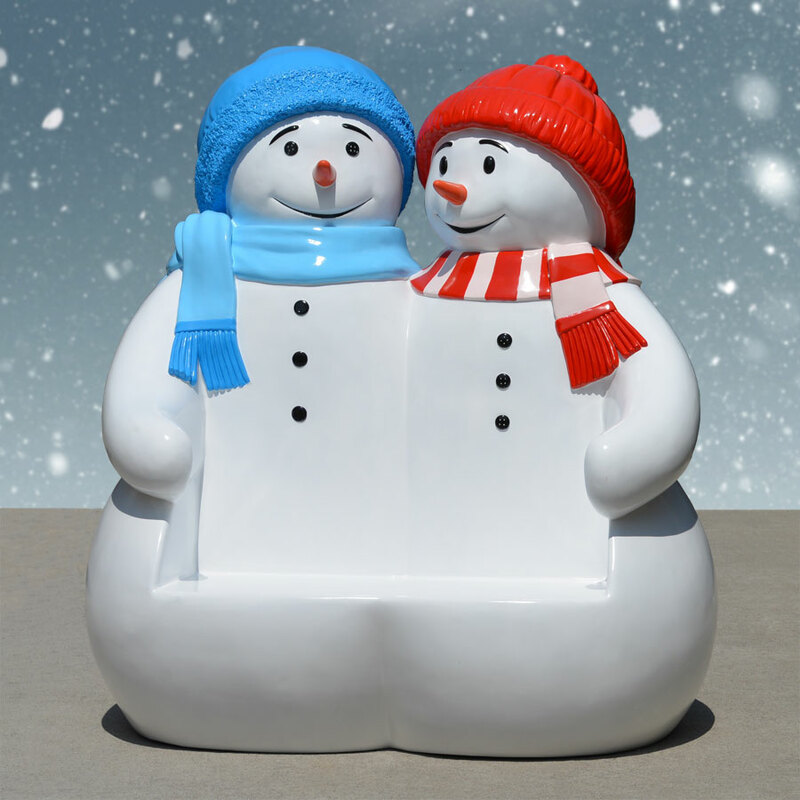 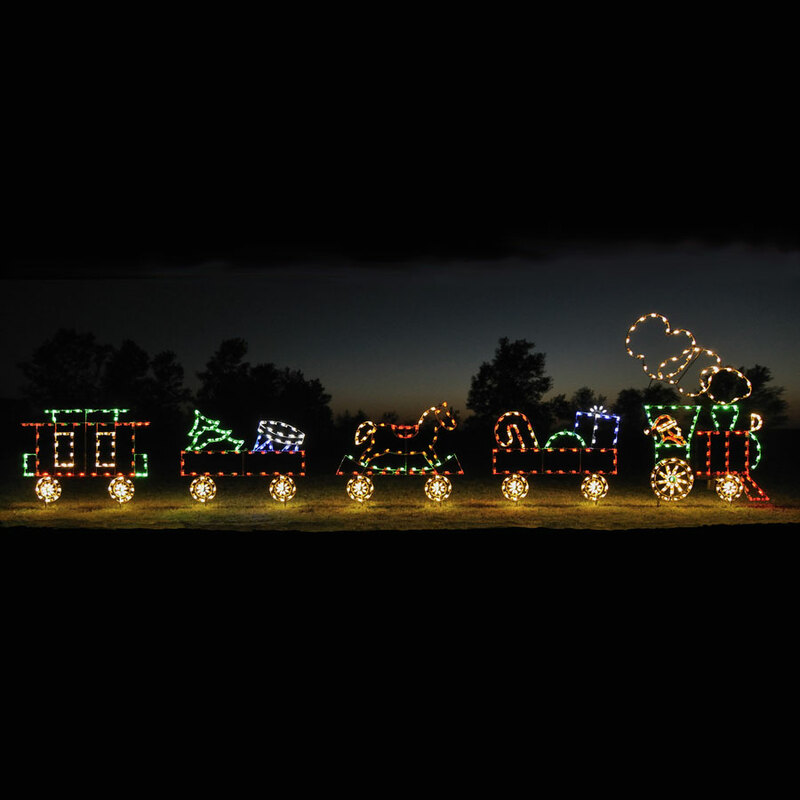 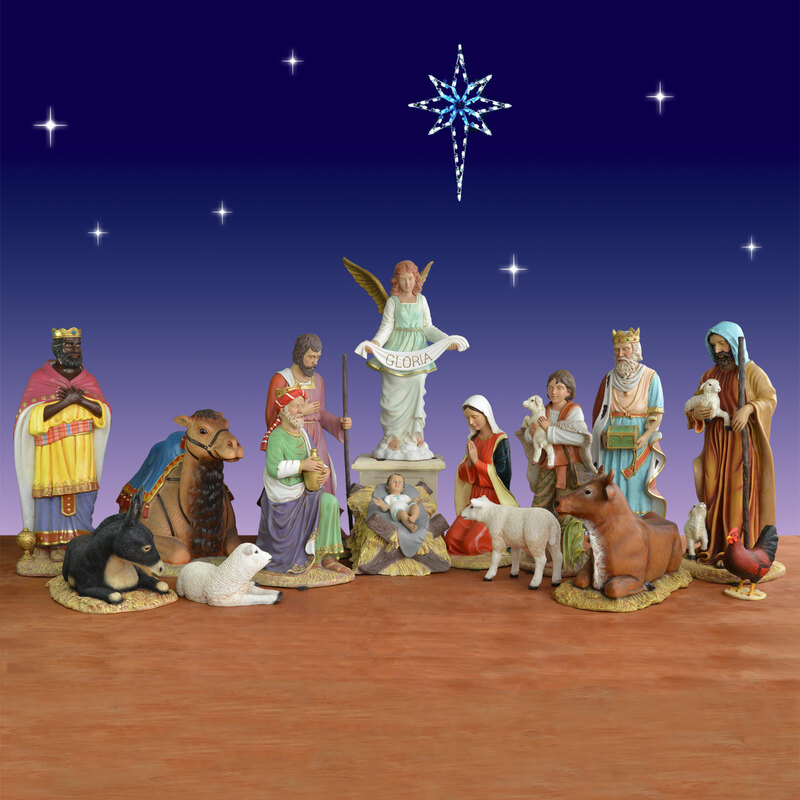 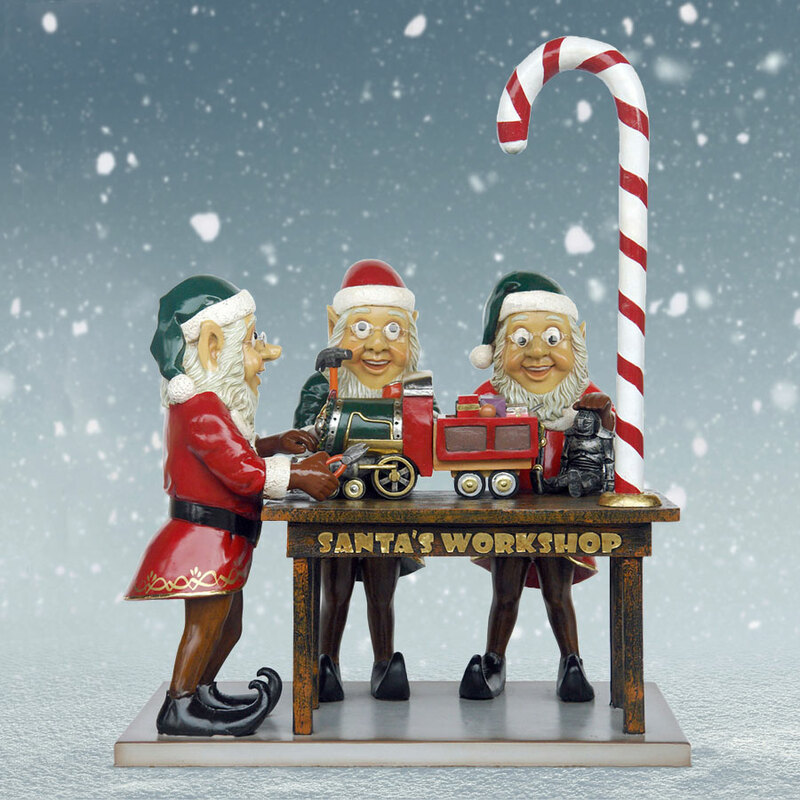 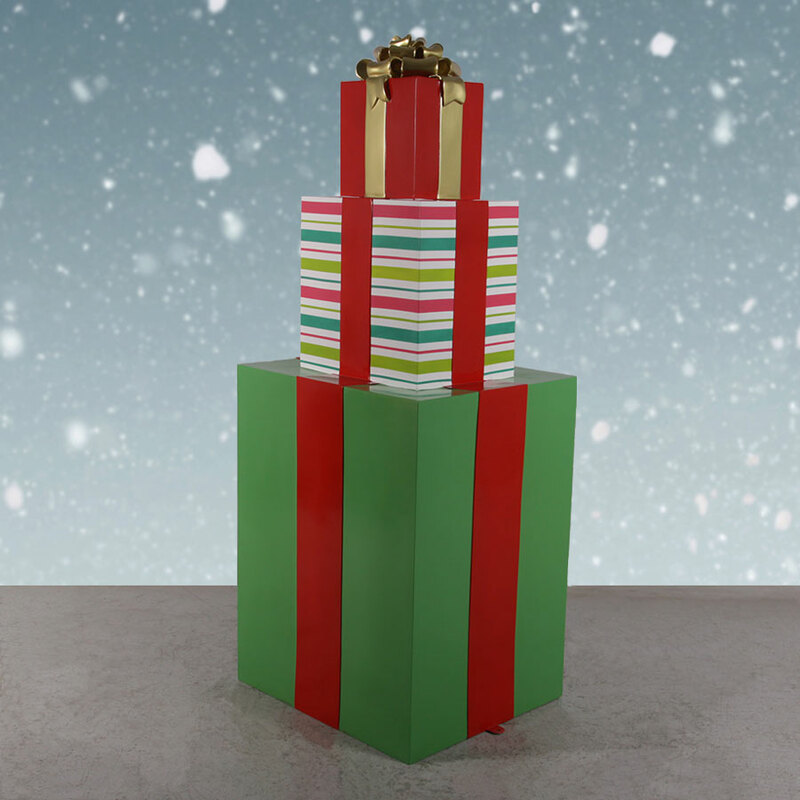 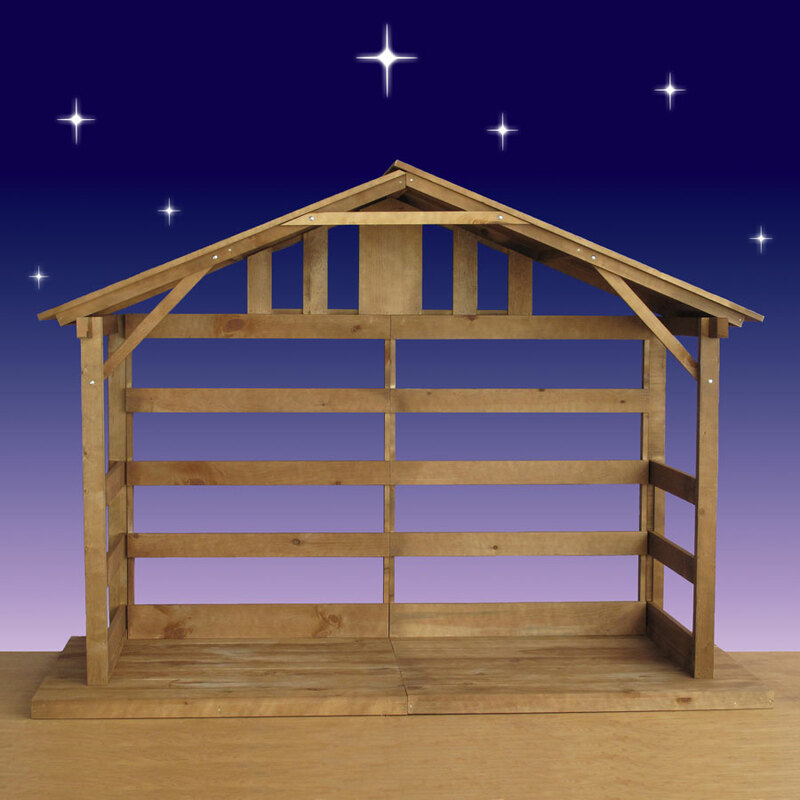 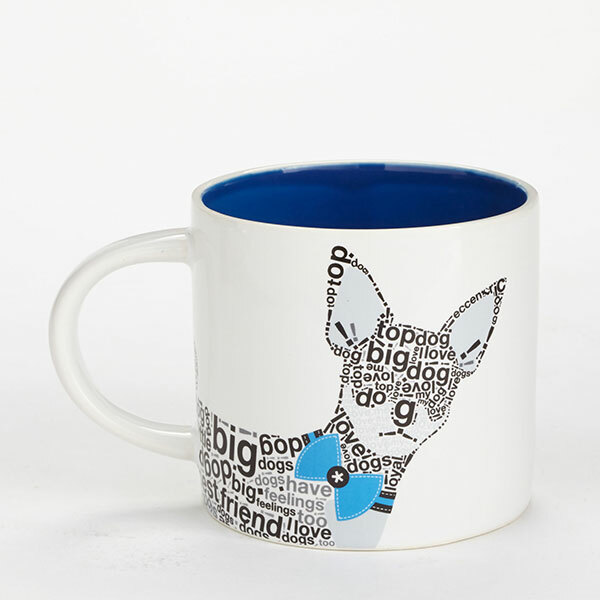 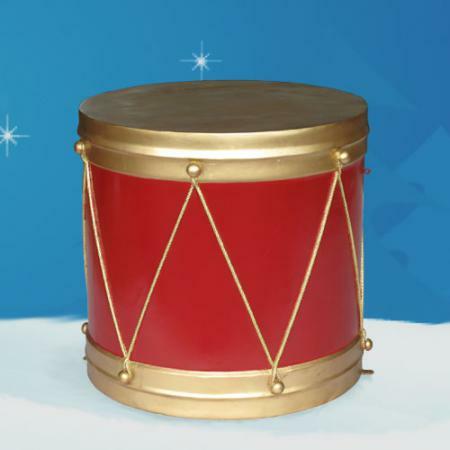 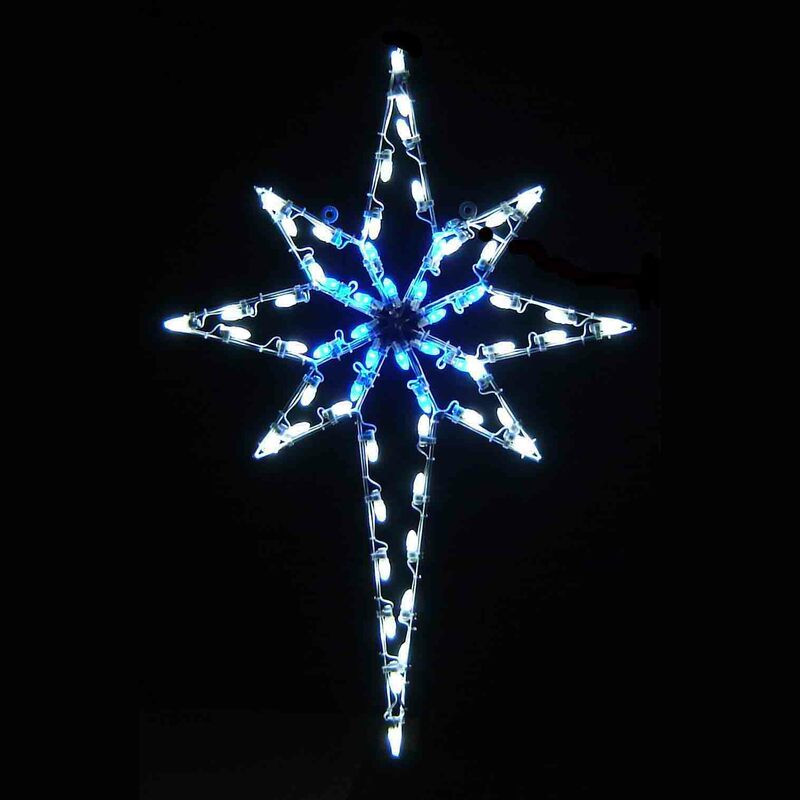 Place him by the fireplace at home, at your store's entryway or in the middle of a community Christmas Park for all to enjoy.